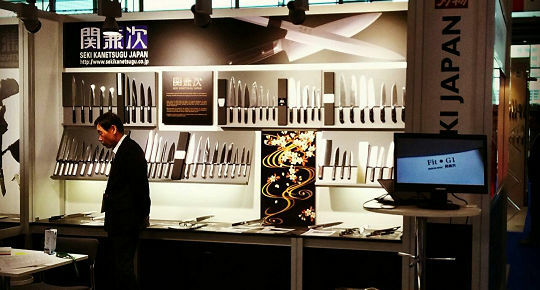 Ambiente 2016 in frank furt | Seki Kanetsugu Cutlery Co. This year we also exhibited at Ambiente 2016, the world’s largest consumer goods fair. This time, which was the seventh exhibition, we will display a product and a pamphlet by sending a promotional video using a monitor before the booth, in order to promote the new product “Fit G1” which is easy to use even for people sitting and wheelchairs did. Coupled with the innovative design, I got a lot of people holding it and got a huge response. 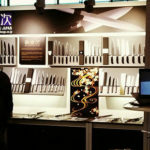 In addition, we were surprised by the goodness of sharpness even with trial cutting with other products, we could connect to many business talks, and this year we have become a fruitful exhibition.